John Coltrane created a new sound, a music that had nothing to do with anyone except himself. The path he chose was difficult and risky. Nevertheless, he persisted, and his recordings now stand among the greatest of all jazz achievements. And his life, thoughts, and words have been just as inspiring as his music. This book collects those words for the first time. Coltrane was a gracious and conscientious interviewee. His responses were thoughtful and measured; he rarely said anything negative about others (though he could be highly self-critical). He freely gave credit to those who influenced and inspired him. Interviewer after interviewer noted how different Coltrane seemed from his music--this quiet man whose music was so volcanic. 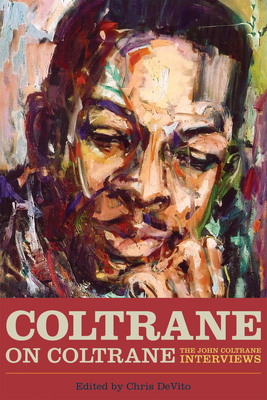 Coltrane on Coltrane includes every known Coltrane interview, many in new transcriptions, and several previously unpublished; articles, reminiscences, and liner notes that rely on interviews; and some of Coltrane’s personal writings and correspondence. John Coltrane never wrote an autobiography. This book is as close to one as possible. Chris DeVito is a freelance writer, a copy editor, and the lead author of The John Coltrane Reference, which was named the BBC's jazz book of the year in 2008. He lives in Urbana, Illinois.